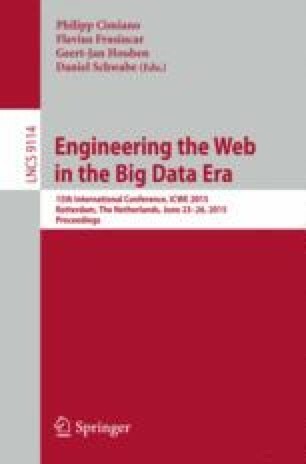 This paper proposes a new perspective on the problem of data integration on the Web: the one of the Surface Web. It introduces the concept of UI-oriented computing as a computing paradigm whose core ingredient are the user interfaces that build up the Surface Web, and shows how a sensible mapping of data integration tasks to user interface elements and user interactions is able to cope with data integration scenarios that so far have only be conceived for the Deep Web with its APIs and Web services. The described approach provides a novel conceptual and technological framework for practices, such as the integration of data APIs/services and the extraction of content from Web pages, that are common practice but still not adequately supported. The approach targets both programmers and users alike and comes as an extensible, open-source browser extension.